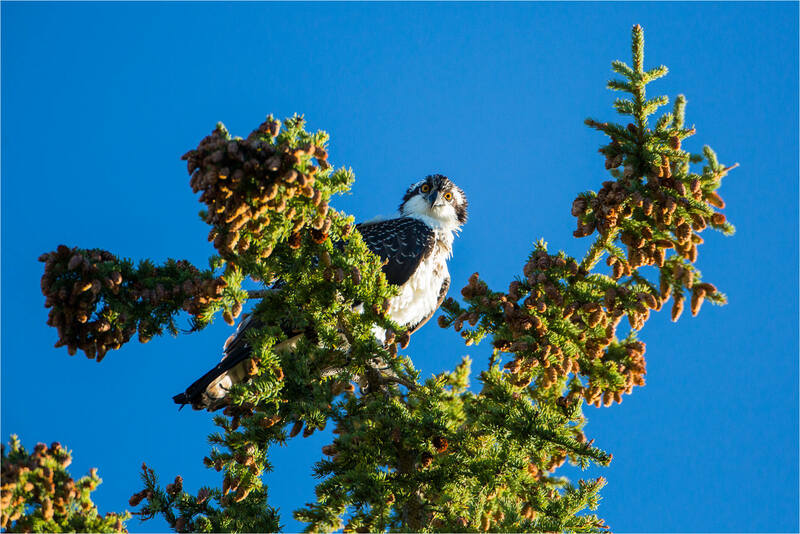 This adolescent osprey’s nest is along the Bow Valley on top of the Castle Junction bridge. Its sibling had not yet fledged and the two of them spent the whole two hours I watched them screaming at one another. Screaming may be too strong, but if they were just calling back and forth, it seemed to have considerable emotion behind it. Maybe the one who was flying was urging the other one to try, maybe the nest-bound bird was telling the flier to go away. 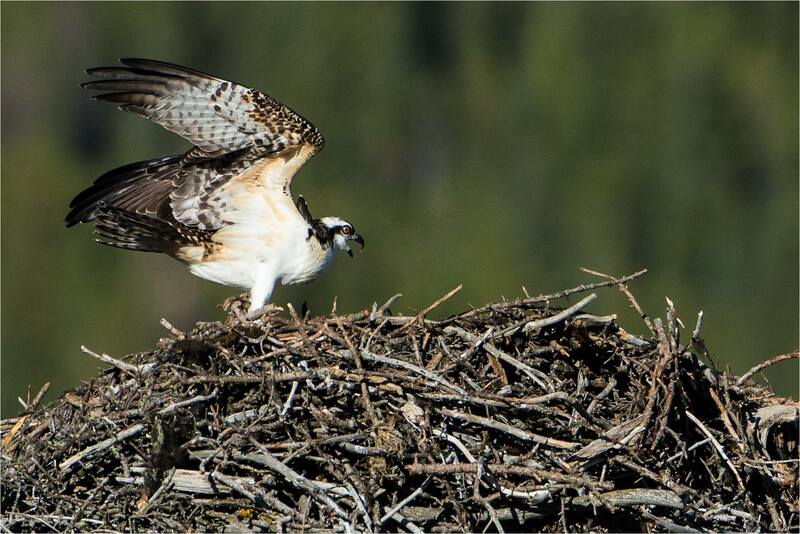 With other nests I know of emptying as their summer residents head south, I wonder how much longer the one will wait for the other. Watching this bird circle around was incredible, it always is. 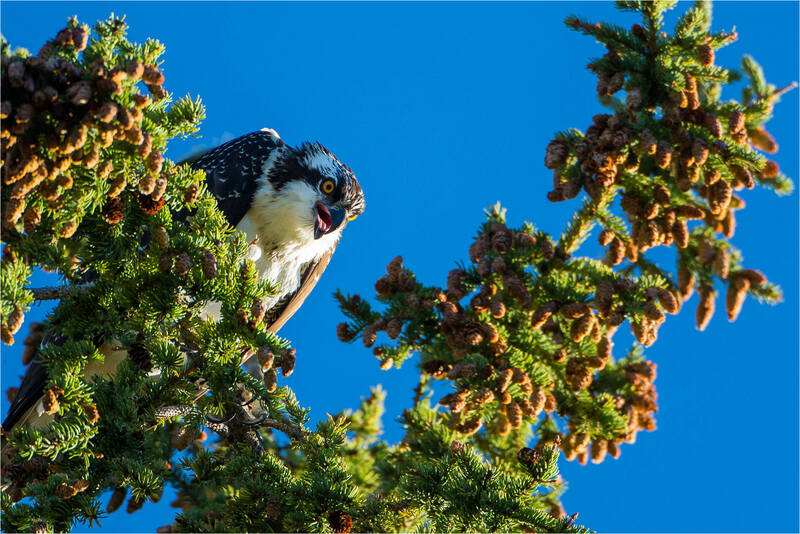 After this flight it landed on a bushy tree nearby and at one point it stared down at me reminding me of an inquisitor. My favourite one from this vantage point was when the raptor cocked its head in the direction of a sound and I caught this look. This entry was posted on September 9, 2012 by Christopher Martin. 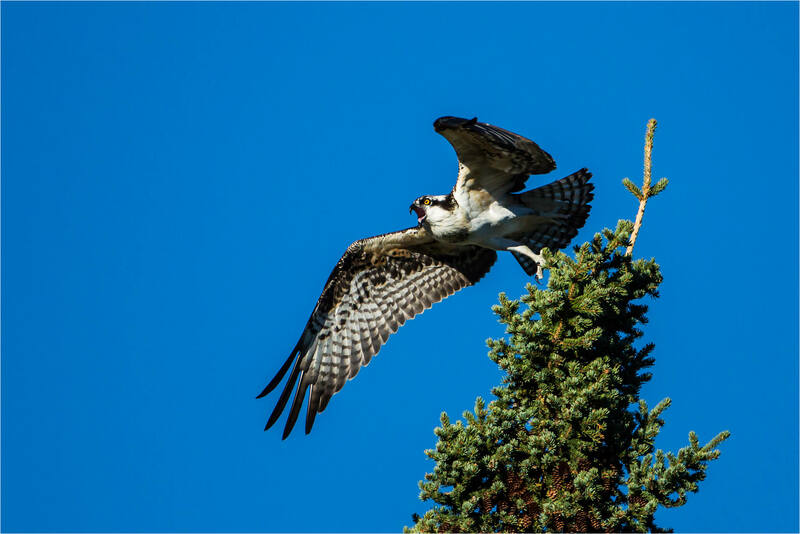 It was filed under Birds, Wildlife and was tagged with animal, Banff National Park, birds in flight, Bow Valley, nature, osprey, raptor, wildlife photography. 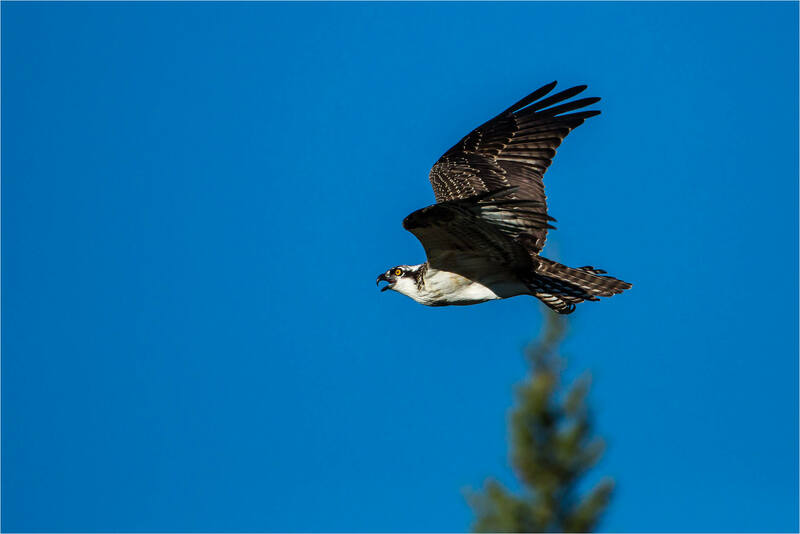 Excellent osprey shots! That ‘look’ in pic #4 is priceless! Great job.